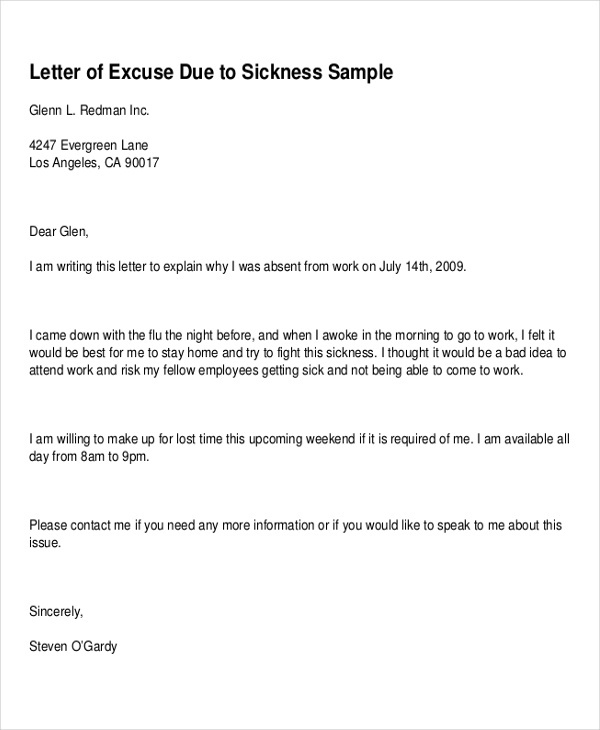 What is a formal excuse letter? 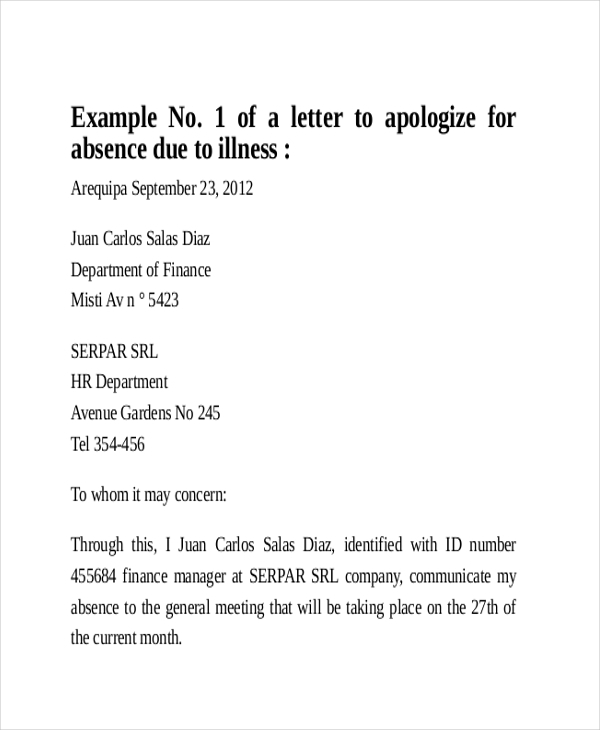 A formal excuse letter is a written document to explain the reason of absence for a specific time. 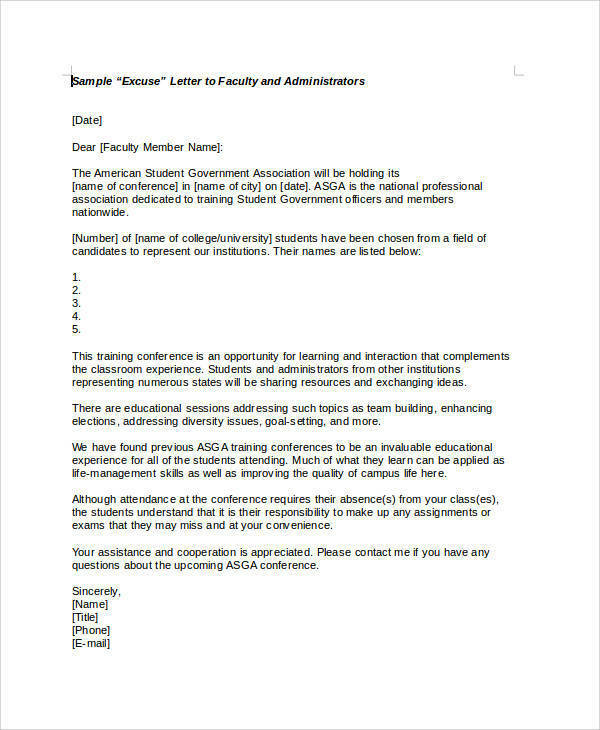 An excuse letter is important to formally address the concerned party with the reason for not being able to attend a class, work, an appointment, business meeting, etc.You may also see letter examples. There are many reasons why writing a formal excuse letter is useful. 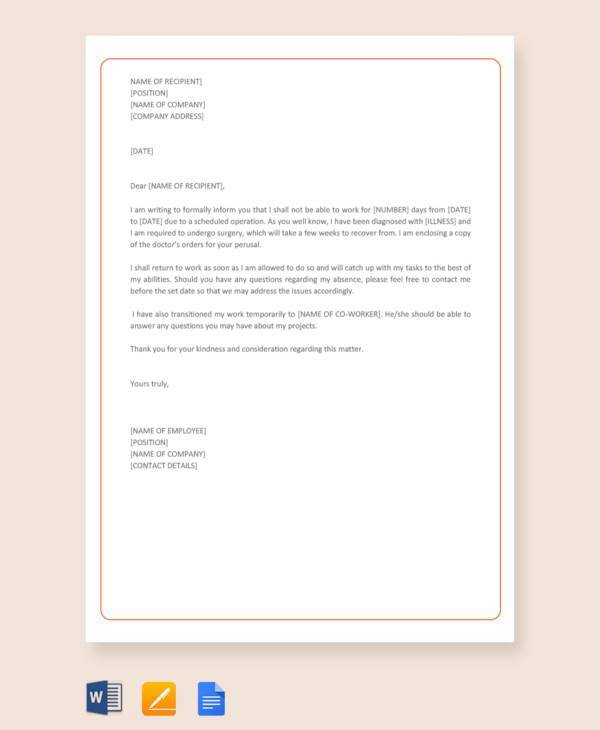 If you are looking for sample letters, specifically a formal excuse letter, this page will provide you with 5+ different formal excuse letters that will be useful to you. 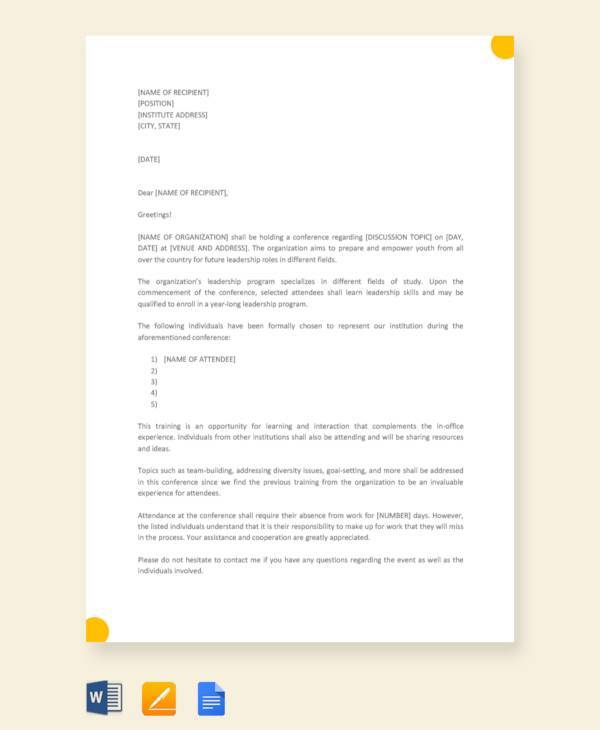 Our sample letters are available for you to download. 1. 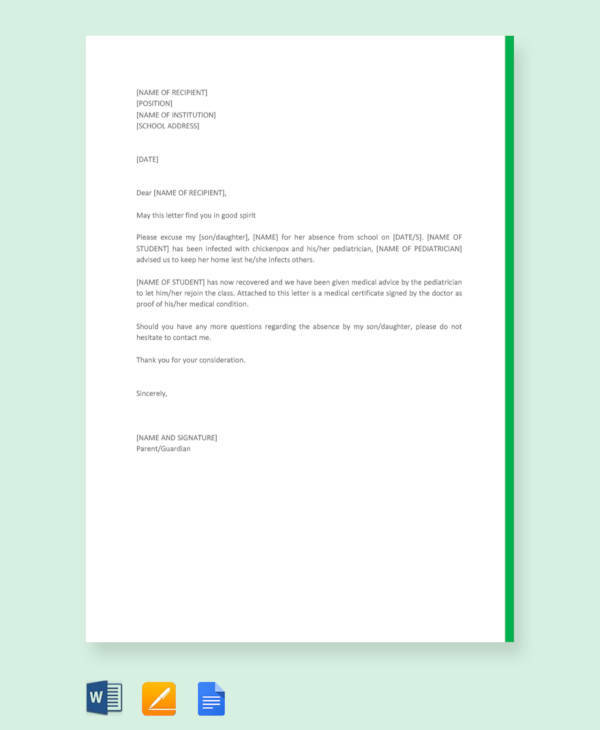 When writing a formal excuse letter, it is important to always remember to make your letter concise. 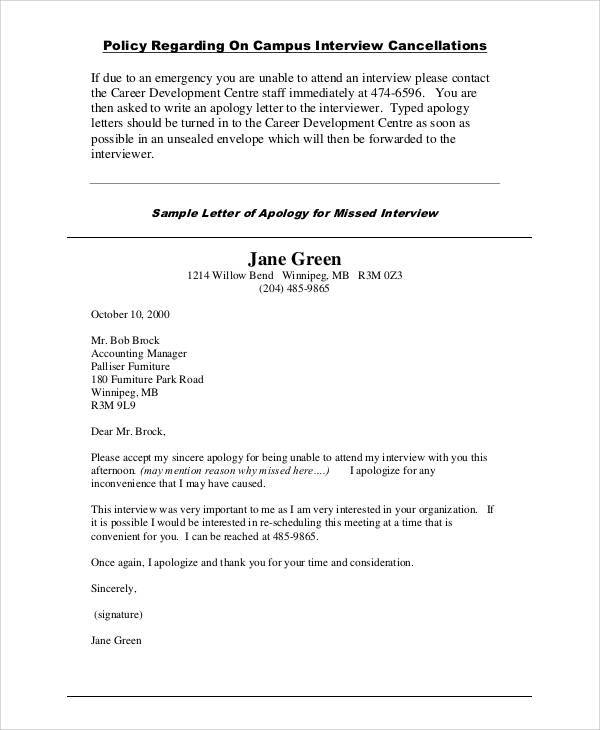 An excuse letter is better if you keep it short and on point.You may also see complaint letters. 2. It is necessary to proofread your excuse letter to check for any errors made. 3. 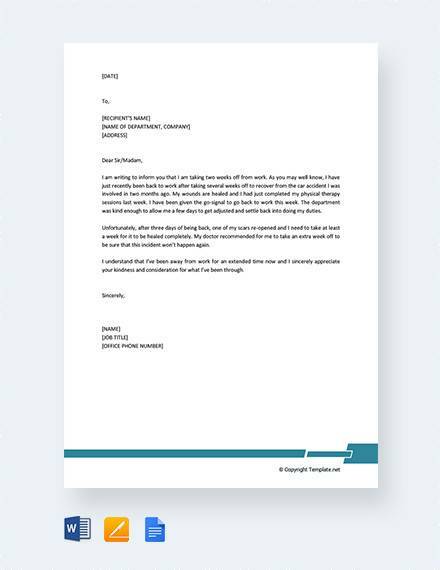 It is essential to follow the right format, especially when writing a formal letter.You may also see work letters. It important to understand the contents and the elements needed if you want to write a good formal excuse letter. 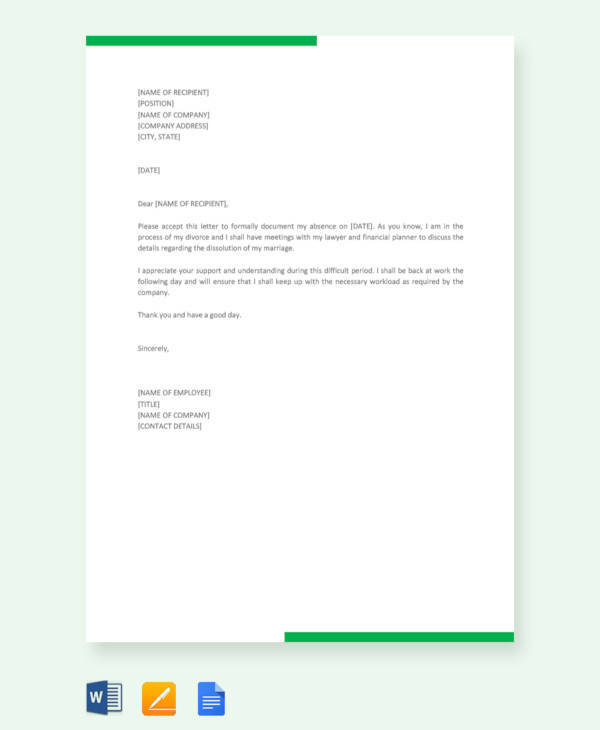 Do you need a formal thank you letter? You may download from our wide selection of thank-you letters by clicking on the link. 1. 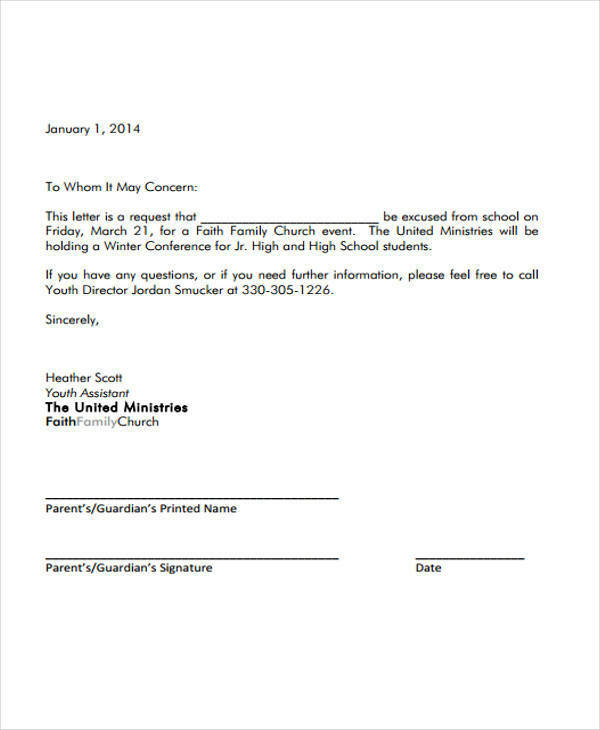 The date, name, and address of the person writing the letter should be written first. 2. The name and address of the person receiving the letter.You may also see professional letters. 3. Address the recipient by greeting him/her, followed by the body that contains the reason for the excuse letter. Below are some of the advantages of writing a formal excuse letter. 1. Written communication will help you communicate more effectively than any other means of communication since it formally addresses a written letter to the authority.You may also see doctor notes. 3. These information will not be misinterpret since everything is clearly written down. 5. If any misunderstanding may arise, a written document is easier to verify information. 6. A permanent file of the written document is conveniently available anytime for reference. A written letter is always a better means of communication, especially when formalities are involved. 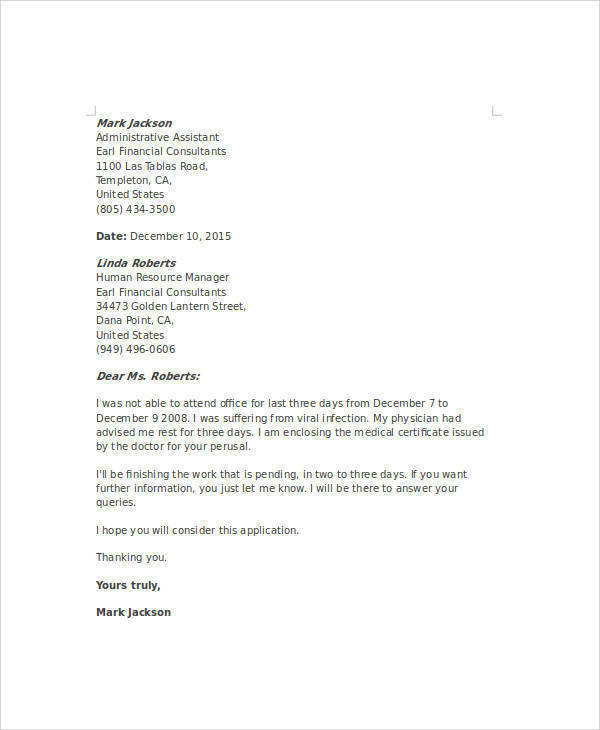 All the information found on this page including all the sample forms above will help you write a formal excuse letter. If you find the need of thank-you letters for appreciation, you can click on the link to check on these samples.